Rhyanna Anderson is passionate about school and community-based mental health. 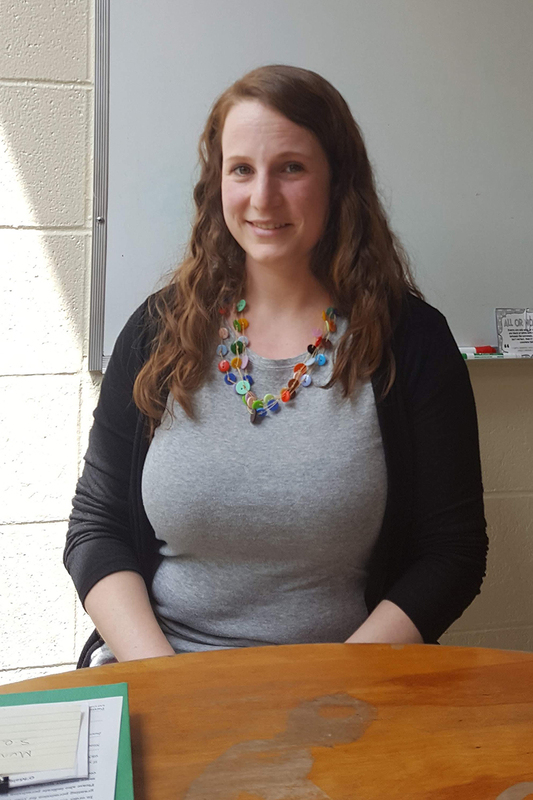 Rhyanna Anderson spent this past school year putting her passion to work at Gloucester’s O’Maley Innovation Middle School, where she serves as a Student Assistance Program counselor. Thanks to a multiyear, $450,000 grant from the Woburn-based Cummings Foundation, Rhyanna will return to O’Maley this fall to continue to help Gloucester teens navigate the challenges of adolescence. Rhyanna and other counselors in the Student Assistance Program work for Lahey Health Behavioral Services, which offers the program in four Essex County public schools. The counselors frequently collaborate with each school’s Guidance Department and they serve as a clinical resource for teachers, parents and students. Last year, students sought support for issues such as anxiety, peer and family relationships, academic struggles, substance use and mood issues. “We provide preventive help before these issues escalate into a more serious problem,” Rhyanna explained. In 2017, the program served 1,370 students and reached an additional 733 others through health curriculum presentations, all-school assemblies or therapeutic groups. Thanks to the Cummings Foundation grant, LHBS will continue to serve and support our partner schools on the North Shore. In addition to the one-on-one counseling sessions, the Student Assistance Program provides in-class and large-group assemblies and small-group “lunch bunch” groups. The counselors also host community-based presentations for parents and families. When clinically appropriate, they refer a student to more intensive treatment services outside of school. The large-group assemblies enhance the school’s health curriculum and open up the conversation about contemporary and pressing topics such as bullying, substance use and signs of suicide. Also, each presentation provides a confidential screening that asks the young attendees, “Do you need to talk to an adult?” This survey question is an extra and no-stigma opportunity for a student to self-identify as needing help and support. Starting in September, the Cummings Foundation funding will enhance the Lahey Student Assistance Program and allow more North Shore teens to get specialized clinical support—where and when they need it. The Student Assistance Program operates in Beverly High School, Holten Richmond Middle School in Danvers, Ipswich High School and O’Maley Innovation Middle School in Gloucester.